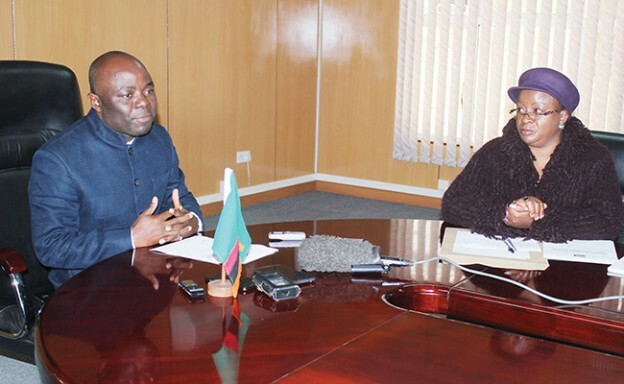 Local government Minister Stephen Kampyongo has called on PF leaders to read the amended constitution and ensure that they understand the clauses. Mr Kampyongo said there is need for leaders to understand the constitution because there are clauses which if not properly understood would lead to misinterpretation of the law. He said leaders should be knowledgeable enough about the new constitution so that they can enlighten the people who do not understand some of the clauses such as the 50%+1 clause. He said some people might not understand why the country should go for a rerun in an event that non of the candidates fail reach the required thrashhold of 50%+1 vote. He also said people should be made to understand that a running mate will not appear on the ballot paper. And Mr. Kampyongo said some clauses were shelved because the country did not have the resources needed to implement the clauses. He said the Provincial Assemblies clause would require new infrastructure in all the 10 Provinces for holding meetings and that government did not have resources to build 10 such buildings currently. Mr. Kampyongo said this when he addressed councillors from Mufulira Municipal council. Provincial assemblies can be held under a tree! Does the constitution talk about buildings? Khuta ku ulozi is in place. Khuta is tradition council and it is not held under a tree! The provincial assemblies would require to meet regularly and may invite skaeholders such as contractors or development aid agencies to attend, just like parliament and they would certainly need infrastructure such as buildings, furniture, public speaker systems, computers, etc. These have huge impact on the country’s coffers. They will be implemented in due course after the referendum, but even then, it will take a while as resources have to be found. There is need to move cautiously on changing our countrys’ management system. Still these developmental authorities existed way back in colonial era. Not surprising nowadays for contractors to run away with monies because the local guys are not involved I such projects. I have always wondered why an African always wants comfort before work. I remember when pave 8000 was launched. The first major investment was in multiply personal to holder 4×4. This actually happens any black Zambian driven development model. The implementer always has to look bigger and more sacred that what he is implementing. Just do it now. Its cost saving, its governance! Ba Kampyongo, why not shelve one school or road project in each province and then use the funds to build the infrastructure for provincial assemblies?